NAPTIP sacks six officers for corruption, official misconduct – Royal Times of Nigeria. The National Agency for the Prohibition of Trafficking in Persons, says it has sacked six of its officers for corruption and official misconduct. 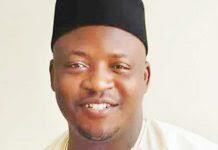 NAPTIP’s Head of Press and Public Relations Unit, Mrs Stella Nezan, disclosed this in a statement in Abuja on Thursday. Nezan explained that the offences committed by the officers included arranging professional sureties for suspects f She said the affected officers endangered the lives of their colleagues by so doing. or a fee and providing informa The spokesperson said that some of the sacked officers were involved in the acceptance of bribes and aiding the escape of suspects. According to her, others were making romantic advances to victims of trafficking as a condition for rendering service to them. She added that one of those sacked was absent from duty without official leave from July, 2017 to May, 2018 and was also involved in financial misconduct. 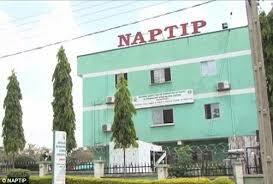 The spokesperson disclosed further that one officer was given compulsory retirement for various offences that were inimical to the operations of NAPTIP. Nezan noted that the offences were categorised under corruption, divided loyalty, sabotage and gross indiscipline, contrary to the civil service regulations. “This development followed the recommendation of the management of the agency who have found them culpable for various offences. “This is in line with the disciplinary actions and in-house cleaning embarked upon by the present management to enthrone discipline, dedication, loyalty as well as enhance the operations of the agency,” she stated. Nezan said the management’s action was the peak of a series of internal disciplinary measures earlier taken in strict compliance with the provisions of the civil service rules and other extant labour laws. She said that the Attorney-General of the Federation and Minister of Justice, Abubakar Malami, had since approved the dismissal of the officers. The spokesperson quoted the Director-General of NAPTIP, Ms Julie Okah-Donli, as expressing sadness over the development. She said that the sack of the officers would enhance the global trust in the agency and serve as a deterrent to others. “Though it was a difficult decision for management, the agency had to take it as a step in the right direction. “I am particularly sad over the situation, but the laid down procedures must be followed. The agency is very important not to only the Nigerian government, but the entire global community. “So we cannot afford to do anything less. I believe that other officers of the agency will take dressing from this development,” she stated.